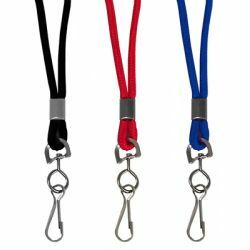 Durable lanyards allow for the prominent display of badges and ID cards without damaging clothing. 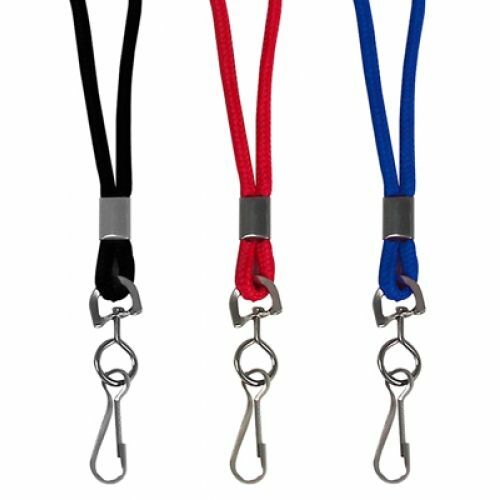 Round woven, nylon material with swivel hook attachment. 36"L.